A particularly devastating problem in a worm bin is protein poisoning, also called “string of pearls” or sour crop, evidenced by a serious deformation of the earthworms as their intestines rupture, inevitably killing the worm itself. So let’s check out what causes protein poisoning, what we can do to prevent it, and what we should do if we encounter it. While opinions vary on what is exactly happening with protein poisoning, one of the most succinct hypotheses of it comes from Trent Holmes, a member of a very informative Facebook Group dedicated to vermicomposting and vermiculture. As you add food to the worm bed, particularly with foods that are high in protein, you must add enough calcium rich buffer to the bedding to neutralize the acid produced by the microorganisms that digest it. Protein rich foods produce a greater quantity of acidic compounds as they break down, and if this acid is not neutralized and calcium supplied to your worms, protein poisoning is inevitable. The worms have a crop just like a bird does. The worms eat the food and take it into their crop, which is where they keep the grit that we supply them. They use these pieces of grit in place of teeth to grind up the food and begin the digestion process. The worms crop has a gland in it called the calciferous gland. This gland excretes calcium to neutralize the acid in the food and to coat the food in calcium before it passes from the crop and into the intestine. If the food is too acidic, or the worm has an inadequate supply of calcium in its diet, the food then passes to the intestine in an acidic state which causes the food to ferment in the intestine of the worm. Because the worm has no mechanism to deal with the gasses that result from fermentation, the pressure builds in the worm’s intestine until it ruptures, causing irreparable damage to the worm. Gasses like alcohol and ammonia are known to be deadly to the worms, and they are almost certainly present in the fermentation that occurs in the intestine of a worm that is dying of protein poisoning (sour crop). To summarize, Trent thinks foods high in protein cause high levels of acidity, which end up fermenting in a worm’s gut, rupturing the worm’s intestines. Larry Shier of TheBlueWormBin agrees with the ammonia hypothesis in an e-mail with me, adding that he believes lack of grit (which aids in digestion) can lead to “sour crop” as well. To be clear, protein poisoning is an affliction within the worm, NOT the bin. And it’s not a communicable disease, so it’s not necessary to discard worms who appear healthy. But make no mistake. The conditions in the bin or bed are seriously out of whack. How Do You Prevent Protein Poisoning? Obviously, you can avoid protein-rich foods, but what I think is more important is the quantity of food overall. Overfeeding your bin won’t always result in protein poisoning, but it’s safe to say that protein poisoning as a rule happens in overfed bins. Whenever someone asks, “can I put onions/cereal/motor oil/you-name-it in my worm bin?,” my default answer is always “yes”. Even for the motor oil, yes. Because toxicity is always a function of dosage. A noxious substance like motor oil in tiny quantities is not toxic to a worm bin. But a seemingly worm-friendly food like spent brewery grains in large enough quantities could be deadly to your worms. So keep your bin stocked with fresh bedding and prevent overfeeding of any sort and you’ll prevent protein poisoning. What Do You Do If Your Worms Are Afflicted with Protein Poisoning? Since “string of pearls” is not communicable and is rather a reaction to the environment, then the best option is to remove as many worms as possible from that bed or bin. But it’s very possible you may not have another bin to place them in. So if that’s not feasible, add plenty – and I mean plenty – of fresh bedding to your bin and remove any undigested food. You should also add lime or calcium carbonate, which not only increases alkalinity (raises pH), but also supplies the bed with calcium, which may help supply the calciferous gland Trent referenced earlier. For more background, see this very thorough post on protein poisoning by the good folks over at the Squirm Firm. Many thanks to both Trent, Larry, and the Squirm Firm for their help with this. Got anything to add? I’d love to hear it in the comments! Thank you for this article. I have never heard of protein poisoning in worms. Think mine are fine. Thanks for the kind words Alice! I thought I would share how I feed my Worm Bin it sort of ties in to the Calcium discussion. My kitchen waste goes into 1 Gallon Freezer Bags. When I fill one, I dump it in a Old Ninja Blender, and the food turns into a shaved snow. I dump this into my old Cottage Cheese Containers, and Freeze them. The Week before Feeding, I thaw out Two Containers. This allows the Frozen Cottage Cheese Containers to Thaw, and develop Mold. When I am ready to feed, I dig a trough on one side of my Bin, and dump these two container in. On top of this I sprinkle some Rock Dust for Grit, and some of this Cricket Food. (Fluker Labs High Calcium Cricket Feed) Then I take shred Cardboard and put it over the top. When the run out of my Kitchen Scraps they eat the Cardboard. My Worms are Fat, Happy, and Horny ;o) I have so many baby worms ! I bed my worms in well composted horse manure and I feed them baby food. They absolutely love the baby food and they thrive! (split pea & carrots are their faves) Then they turn the manure into castings- fast. The hoards of tiny little babies come in waves like strange fungus hairs that move like some alien creature. The worms seem to be VERY healthy and happy! I end up with lots of empty baby food jars which have many valuable uses around the shop. They go through about one 6oz jar every two or three days so cost is minimal and one jar at a time never over feeds them. It’s a feeding frenzy when I feed them! I just have one small worm bin and baby food would probably be too expensive for a large operation but it certainly works wonderfully at this scale. I intend to slowly scale up to produce enough for my own garden, trees, etc. then continue scaling until I reach commercial level with the descendants of the first and only purchase of 250 worms! I’ve had my worms for about a year. As the numbers and size of bins grows, I’ll have to develop different ways to feed but going slowly allows me the luxury of experimentation and fine tuning. There must be a thousand different ways to feed a worm and everybody seems to do it differently but this is how I do it for what it’s worth. What a great article! I’ve been doing many experiments with red wigglers and a few have gone very bad killing many of these amazing creatures. Kills me when there’s a massive die out as you can certainly tell they died a miserable death, so I feel your pain on that! You’ve given some great insight on what I was doing wrong, and how not to have it happen again. Do an internet search on “Composting Rolls” to see how I manage my worms. Would love to hear your opinion, or answer any questions you may have. 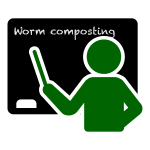 Your insight on worms is awesome, I’m looking forward to reading your PDF on the basics of Vermiculture! Thanks for the link! It looks like an interesting system you have there! I over fed my worms to the point where the gas that was coming out of the bin activated the fire alarm in my house. I don’t over feed anymore and I understand why proper air flow is so important now. Oh my goodness! From the methane or something? Thanks for your worm protein poisoning articles, its wonderful articles. how much of protein food does adapted in worms? do you know any accepted limits?